Johnson O. Akinleye is NCCU’s permanent chancellor. North Carolina Central has a new chancellor but he’s no stranger to the Durham, NC school. Johnson O. Akinleyle has been elected chancellor by the University of North Carolina’s Board of Governors after serving as interim chancellor and acting chancellor prior to the death of the late Debra Saunders-White. Akinleyle is a two-time HBCU graduate with an undergraduate degree in telecommunications and a master’s degree in media technology from Alabama Agricultural & Mechanical University. He recieved his Ph. D in human communications from Howard. 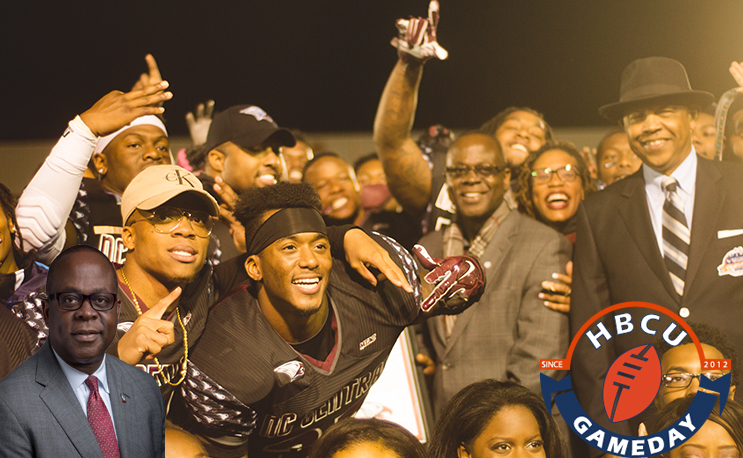 Akinleyle was on the field with NCCU when the school won its third-straight MEAC football title in November and in the Norfolk Scope when NCCU won the MEAC hoops title in March.